What would I do with a 100LBS of chocolate? Hmm well lets see I would, okay I would eat it all as fast as possible! I would attempt to spread it out to a month, but lets be honest me and my chocolate addiction wouldn't last that long! Ever wonder what 100LBS of chocolate looks like thanks to Brookside Chocolate you can now see! Not only that, but you have the chance to win your own 100lbs of chocolate. Each day of the sweepstakes, three entrants will be randomly selected to receive a 2lb bag of Brookside Chocolates. 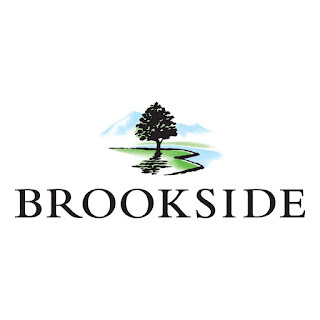 Each week, five grand prize winners will receive 100lbs of assorted Brookside Chocolates. Now through November 22, 2015, Brookside is asking fans to tell them what they would do for their own 100 lb. bag of BROOKSIDE chocolate. Fans are encouraged to respond as creatively as possible via Twitter by following @BROOKSIDE_Choc and using hashtag #100lbsofBROOKSIDE #sweepstakes, or by posting on Instagram, Vine or Tumblr for the chance to have 100 lbs. of Brookside delivered to their door. For more information, visit www.100lbsofbrookside.com.